ARTISTS FOUND THE OPPORTUNITY AND RESOURCES TO TAKE RISKS AND EXPERIMENT WITH NEW IDEAS. $60,000 in total grants were awarded. In partnership with the Frey Foundation, ArtPrize introduced Artist Seed Grants in 2014. Intended to give a boost to artists who demonstrate both financial need and artistic merit, this grantmaking program awards 25 artists $2,000 to fund their ambitious and challenging ArtPrize entries, for each of three years beginning in 2014. Grant recipients were selected from over 200 applicants by the ArtPrize Arts Advisory Council, a panel of advisors comprised of national and local art world luminaries, critics, curators and artists. ArtPrize launched Pitch Night in 2013 to encourage out-of-state artists to create ambitious installations. 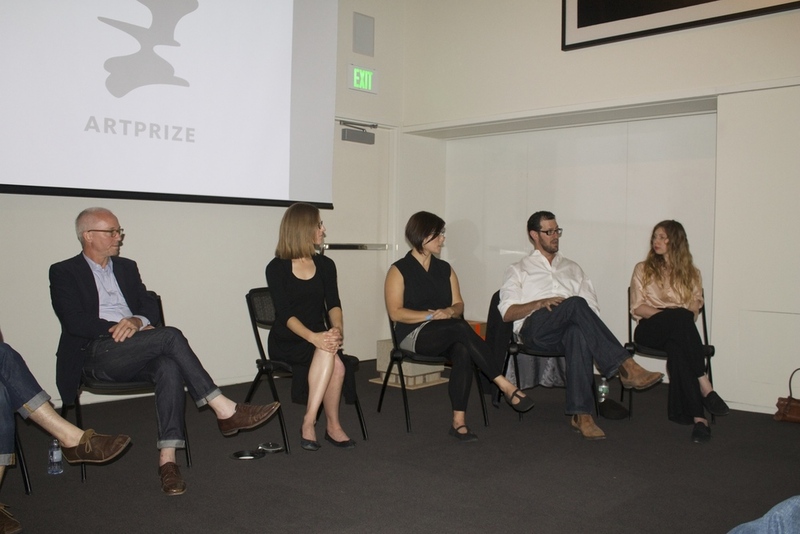 Five artists are given five minutes and five slides to dazzle a panel of five art experts. The winning artist is awarded $5,000 and a spot on a prominent, highly-trafficked ArtPrize venue. Pitch Night kicked off in 2013 at the Walker Art Center to engage Minneapolis artists, and expanded in 2014 to Cincinnati in partnership with 21C Museum Hotels.